This events is part of the Goethe-Institut Libanon "100 Years Bauhaus" celebration. Don't miss the film screening on the same evening! The VR Exhibtion will be available for you till December 2019 in our Media Lounge. 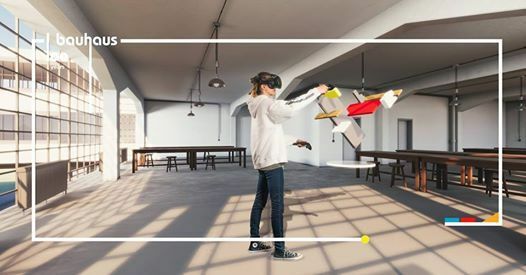 Celebrate the 100th anniversary of the Bauhaus with an interactive, virtual tour into the essence of the Bauhaus: its ideas, products and masters! 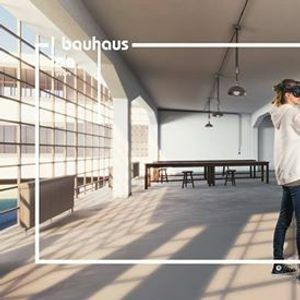 The exhibition uses innovative Virtual Reality technology to bring Bauhaus to any space anywhere in the world. After putting on VR glasses, the visitor tours the iconic Dessau Bauhaus School. Developed by the Goethe-Institut Boston in cooperation with Cologne Game Lab (CGL) at TH Köln and a team of Bauhaus advisors.